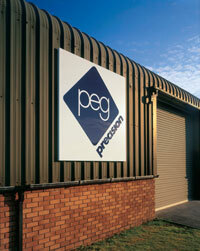 The quality of products, and the customer care has been second to none, we have used PEG for many high spec projects and have no hesitation in recommending them. The cornerstone of our business is a commitment to ongoing customer care, proven by a customer base that includes relationships which in some cases go back over 20 years! • We offer a complete service - design advice, prototypes through to production. • Our strategy of continuous investment and improvements is to achieve total satisfaction for our customers from concept to finished product. • CNC machines scheduled through computerised planning. • Let our innovation, expertise and quality save you money. P.E.G. offers a unique combination of capability, flexibility and personal service. We have developed the expertise to produce for our customers the highest quality toolmaking manufacturing either to drawing or reverse engineered, also offering the design and manufacture of special purpose machines to customer’s requirements. We are fully skilled in machining materials such as Nickel Ali Bronze; Brass; all Stainless Steels including 17/4 PH, Ferralium, Amazon, Duplex; Inconel; Alloy 635, Monel, Aluminium and all Plastics etc. P.E.G. was formed in 1988 from a wealth of engineering history and is a privately owned and managed company which is dedicated to providing a quality of service. We service the needs of our customers helping to assist them in improving on their production. 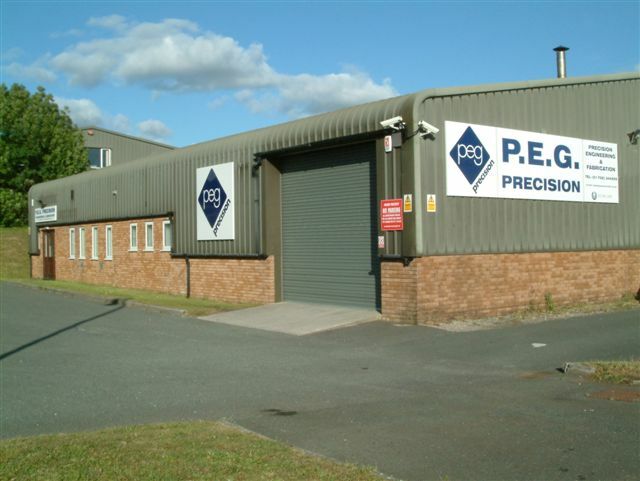 P.E.G.’s most valuable asset is their skill, experience, dedication to quality and recognition of the importance in meeting delivery schedules as well as their enthusiasm are the things that set us apart from other toolmakers. P.E.G. has been BSI registered since 1990 currently to ISO 9001-2008. Working within a wide range of industries from oil and gas, pharmaceutical, military, food, aerospace and semi-conductor sectors we forge a close relationship with each customer ensuring that their particular product confidentiality and schedule is paramount. Working within these industries has given us a wide range of experience in manufacture and materials. Having our own fabrication shop has given us the added advantage of being able to fabricate some of the more difficult machined components by semi-machining parts, welding, heat treatment if required, and then finish machined to drawing, which is a process we do regularly and the components are then tested as required. All manufacturing is carried out and inspected within our new factory at Langage Industrial Estate, purchased to give us more machining capacity and space for an assembly area. We are committed to ensuring that all the components and equipment we manufacture meet our customer’s requirements, which is achieved through the quality system that we have in place. Our capability ranges from the simplest of items through to the more complex manufacture of parts for the wide variety industries we serve. From one offs, small to medium batches, large batch runs, jigs & fixtures, design & development projects as well as welding and fabrication. Our modern equipment is protected from downtime by daily maintenance routine, this combination of total customer commitment and quality management enables us to deliver to you on time a product you will be pleased to incorporate in to your own organisation. If you would like to come and visit me or see our facility please contact me.